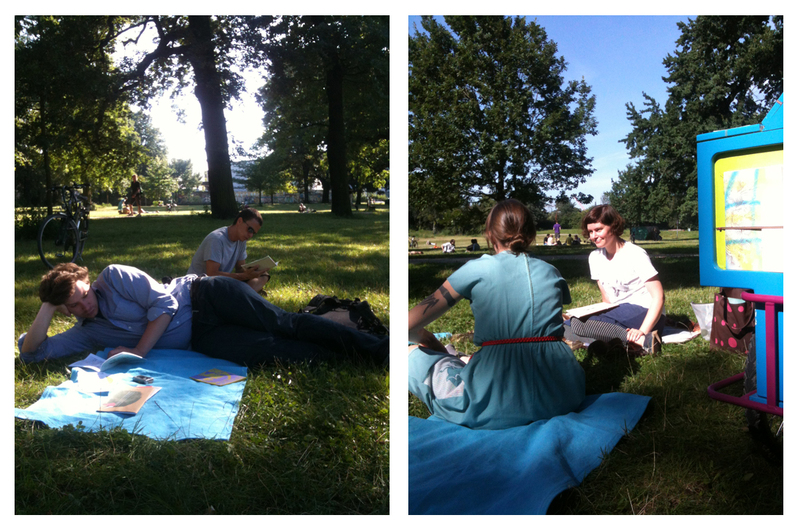 it was a perfect day yesterday to read in the sun. our nice friend ina stopped by and took some nice pictures. 'the lesen lounge' is a mobile zine reading [lesen] lounge in berlin, germany. we open up in neighbourhood parks and offer anyone who wishes to explore the world of zines an opportunity to browse our collection with works by zinesters from all over the world. we will announce our dates, times, and locations on this front page. of course, the lounge opens weather permitting. come out and peruse our little library in the open air! 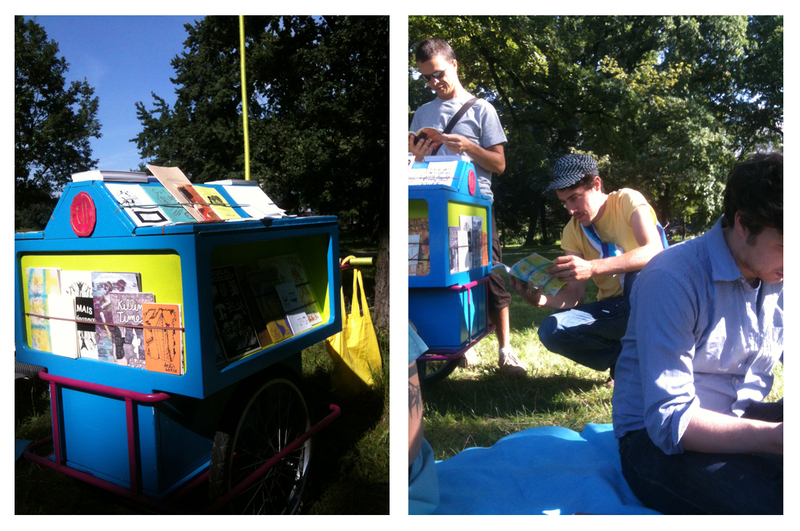 'the lesen lounge' ist eine mobile open-air zine bibliothek. wir kommen zu euch in den park und laden euch ein, in unserer auswahl an zines internationaler künstler_innen zu stöbern. auf dieser seite findest du die aktuellen termine, zeiten und orte.